The Los Angeles Refinery is composed of two linked facilities located roughly five miles apart in Carson and Wilmington, Calif., about 15 miles southeast of Los Angeles International Airport. Carson serves as the front end of the refinery by processing crude oil, and Wilmington serves as the back end by upgrading the intermediate products to finished products. The refinery has a crude oil processing capacity of 139 MBD and processes mainly heavy, high-sulfur crude oil. It receives domestic crude oil via pipeline from California and both foreign and domestic crude oil by tanker through a third-party terminal in the Port of Long Beach. The refinery produces a high percentage of transportation fuels, such as gasoline, diesel fuel and jet fuel. Other products include fuel-grade petroleum coke. The refinery produces California Air Resources Board (CARB)-grade gasoline using ethanol to meet government-mandated oxygenate requirements. Refined products are distributed to customers in California, Nevada and Arizona by pipeline and truck. Jesse Hardman published an interesting article in High Country News on March 7, 2018 about the 10-square-mile South Los Angeles community in close proximity to three oil refineries including Phillips 66 Wilmington Refinery, that has the dubious distinction of having some of the worst air quality in a city that already has the country’s worst ozone levels. A 2013 California state cap-and-trade law offered incentives for big polluters to become greener. But one study suggests that the program has inadvertently made air quality worse in places close to refineries and power plants, like Wilmington. Here’s how it works: Under the law, big polluters like oil refineries and power plants must buy permits that allow them to emit greenhouse gases. The number of permits available is reduced year by year, in an effort to gradually bring down the state’s overall carbon emissions. But rather than lower their emissions to meet the program’s targets, oil companies like Tesoro, which operates in Wilmington, choose to buy up other companies’ allowances, or pay to offset the damage they cause elsewhere, by planting trees in Alaska, for example. This gives them free license to continue polluting in their immediate areas. In Wilmington, oil companies start their PR push early. Twenty-four-year-old activist Ashley Hernández remembers getting free backpacks and pencils with oil company logos as a kid. “You get popcorn from them every Halloween,” she said. For more than six decades, Phillips 66 has co-opted that holiday, painting one of its 3-million-gallon gas storage tanks orange to create an enormous grinning jack-o-lantern — “Smilin’Jack” — that towers over the community. Employees in bright yellow safety vests stand beneath chemical tanks and smokestacks, giving local families bags of caramel corn and plastic balls marked with the Phillips 66 logo. “They do community events, they’ll fund carnivals, they’ll do youth trips. They do it with an aim to silence them,” said Hernández, noting the hold that local industries have over her working-class parents, originally from El Salvador. After decades spent making a life in Wilmington, Hernández and her family would find it hard to just leave. Sylvia Arredondo is at the helm of a growing movement made up mostly of women of color who grew up here but left to get an education, and then later returned to battle the industries that are poisoning their families. Their fight is a legal and political challenge to oil companies and local air-quality regulatory bodies. But it’s also an exercise in civic engagement, one that even Wilmington’s older generations have joined, despite their fear of being deported or losing their jobs at the local oil facilities. As a child, Arredondo attended classes in a wealthier district, but returned to Wilmington in time for high school. By then, she knew that her community’s poor air quality was something wealthier neighborhoods would never stand for. One of her college textbooks called her city a “toxic hotspot.” “Before that class, I didn’t know what environmental justice was,” Arredondo said. Now she fights for it as the civic engagement coordinator for the nonprofit Communities for a Better Environment, and as the president of Wilmington’s neighborhood council. In answer to a question from Neil Mehta, Kevin Mitchell told analysts during the 2016 first quarter earnings conference call on April 29, 2016 that although Phillips has talked about divestitureof its California refineries in the past at this point Phillips will just hold on to them at this point in time. "California we talked about a lot the hold cost or the option value is really not much there is not a lot of capital in front of us in California last few year margins have been very good in California so it's a net cash contributor," said Mitchell. "And you think about could you sell asset probably but could we did good value for it, probably not and so I think we just hold it at this point in time they're good assets, they're probably mid back in terms of where they set their cost structure, but given the option value to keep, I think it'll just hang on." Phillips reported flaring at its Wilmington, California refinery, according to a filing with the California Emergency Management Agency. Phillips reported a flaring event at its Wilmington, California refinery, according to a filing with the California Emergency Management Agency. The refinery has two linked facilities about five miles apart in Carson and Wilmington. The former processes crude oil while the latter upgrades the products. Phillips reported unplanned flaring at its Los Angeles-area refinery in Wilmington, California, according to a filing with state pollution regulators. Phillips reported flaring at Wilmington Refinery according to a report from Reuters on August 30, 2015. Phillips reported unplanned flaring at Wilmington Refinery according to a report from Reuters on July 15, 2015. Phillips reported unplanned flaring at Wilmington Refinery according to a report from Reuters on June 24, 2015. Nasdq reported on June 8, 2015 that planned maintenance is underway at the Wilmington Refinery. Phillips has planned maintenance underway at five of its worldwide refineries: Humber Refinery, Wilmington Refinery, Ponca City Refinery, Wood River Refinery, and Whitegate Refinery. Phillips did not indicate whether fuel output may be impacted, and representatives from Phillips 66 weren't immediately available to comment. In answer to a question from Paul Cheng of Barclays on whether management views California as a core part Phillips long-term portfolio, Greg Garland announced during the 2015 first quarter earnings conference call that Phillips' management thinks California is really a challenged place to do business. "And we think we have kind of - we have good assets, but we think they’re average you have crossed that portfolio. And so we’ll continue to work the thick strategy around the West Coast as we look at more optionality around getting the advantage crude into those assets so kind of cost structure, et cetera, around those assets. But I would say, there’s nothing that’s changed our fundamental view on West Coast assets today." Phillips 66 reported a breakdown and emissions at Wilmington Refinery on March 25, 2015. Phillips reported unplanned flaring due to a breakdown at its Los Angeles-area refinery in Wilmington, California, according to a filing with the South Coast Air Quality Management District. The Daily Breeze reported on January 29, 2015 that heavy black smoke billowed across the Harbor Area and South Bay from a flare at Phillips 66’s Wilmington oil refinery after an unspecified emergency interrupted the steam system. Phillips 66 spokeswoman Janet Grothe said the South Coast Air Quality Management District was notified of the incident. Refinery tests found that the flares prevented any harmful air emissions from reaching the surrounding community. “Air monitoring has indicated no off-site impact and the refinery continues to operate,” Grothe said. Phillips 66 reported flaring at Los Angeles Refinery on January 23, 2015. Phillips reported a flaring event due to unknown reasons at its Wilmington, California refinery, according to a filing with the California Emergency Management Agency. Phillips reported a power failure at its Los Angeles area refinery in Wilmington, California, on Thursday,according to a filing with the California Emergency Management Agency. The event led to the release of sulfur dioxide vapors, the filing said. Phillips 66 reported flaring at its Wilmington, California refinery, according to a filing with the California Emergency Management Agency. The Phillips 66 refinery has two linked facilities about 5 miles apart in Carson and Wilmington. Phillips reported a flaring event at its refinery in Wilmington, California, caused the release of chemical substance, according to a filing with the California Emergency Management Agency. The refinery has two linked facilities about five miles apart in Carson and Wilmington. The former processes crude oil while the latter upgrades the products. Zamná Ávila reported at Random Length News on July 8, 2014 that Representative Janice Hahn sent a letter to California Fire Marshal Tonya Hoover with regards to the Phillips 66 violations in a recent oil spill requesting an update on the office’s progress in citing Phillips 66 for federal law violations. “The 1,200 gallon oil spill in Wilmington placed the health of hundreds in danger due to a failure to follow federal law regarding pipeline safety,” Hahn wrote. “The families of Wilmington remain uncompensated for the destruction of their property, and the federal government is unable to act until your office cites the company for wrongdoing.” Hahn expressed her disappointment that Phillips 66 had not yet been cited. Phillips reported release of anhydrous ammonia at its Los Angeles-area refinery in Wilmington, California, on Monday, according to a filing with state pollution regulators. The filing did not specify whether the event had an impact on production. Phillips 66 reported flaring at its Los Angeles-area refinery in Wilmington, California, on Wednesday, according to a filing with state pollution regulators. The filing did not specify whether the malfunction caused any production impact. Phillips 66 reported an unspecified material combustion due to unknown reasons at its Los Angeles-area refinery in Wilmington, California, on Wednesday, according to a filing with state pollution regulators. The filing did not specify whether the malfunction caused any production impact. In answer to a question from Bradley Olsen of Tudor Pickering Holt & Co. Securities, Inc. Garland told analysts at the third quarter earnings conference on October 30, 2013 that the option value to hold onto West Coast Refineries at Los Angeles and San Francisco is not high. "I think in any time we look at an asset and we’re going to let an asset go, if we are going to get value for PSX shareholders, it has to be tax efficient in terms of the transaction itself. And we look at these assets East and West Coast, we’ll put in advantaged crudes, so that we think we can make them better and drive more value ultimately and optionality that thing, we look at these assets both east and west, we don’t have to put a lot of money into these assets," said Garland. "The option value to hold on is not high for us and again they are generating positive cash or generating maybe single-digit returns, but they are adding value to the portfolio overall. So we don’t feel like there it is stressed assets, we just have to move today. So we’ll hold them for some option value. We’ll consider multiple ways to create values with these assets, but in the mean time we’re going to work to make them better." Bloomberg reported on August 12, 2013 that the Carson Refinery refinery reported flaring at 12:40 a.m. local time, according to a notice to state regulators. The same part of the refinery reported flaring on July 29. Bloomberg reported on August 12, 2013 that the Carson Refinery refinery reported flaring on July 29, 2013. Phillips 66 reported unplanned flaring at its Wilmington refinery began the morning of June 7 and continued until late night on June 8, according to a filing with the South Coast Air Quality Management District. Fox Business reported on May 10, 2013 that Phillips plans to flare sulfur oxide and other gases from May 12 until May 26, 2013 according to a filing with the South Coast Air Quality Management District. A Phillips 66 spokesman declined to comment on the refinery's activities. Phillips reported unplanned flaring due to a breakdown at its Wilmington refinery, according to a filing with the South Coast Air Quality Management District. Fox Business reported on April 4, 2013 that a small fire in a coking unit at the Wilmington Refinery was put out quickly and caused no injuries. Bloomberg reported on March 18, 2013 that Phillips shut an isomerization unit on March 18, 2013 at their Los Angeles Refinery after discovering a leak, a person with direct knowledge of the work said. The unit, which makes unleaded gasoline components, may remain down until tomorrow for line repairs, the person said. Reuters reported on February 5, 201 that Tim Taylor, Phillips executive vice president for commercial, marketing, transportation and business development, told the Credit Suisse energy conference that Phillips has begun moving cut-price Canadian crude to its California refineries at Los Angeles and San Francisco via rail. "We're beginning to deliver Canadian crude to our California refineries by rail," said Taylor. Garland told Reuters on January 30, 2013 that Phillips was looking at coiled tube cars that are suited to bitumen in Canada's heavy oil deposits that must be heated in order to flow. Reuters reports that Greg Garland told investors on January 30, 2013 at the 4th quarter earnings conference that Phillips did not rule out a sale of Phillips two California refineries, one at Los Angeles and one at San Francisco, given challenges with state regulatory requirements and high costs. "We're studying any and all options for California in terms of where do we go long-term in the business," said Garland. "We are doing everything we can to improve it. I don't feel it's a distressed asset. We want to take our time and be thoughtful." Garland told analysts that Phillips 66 was looking at getting railcars capable of hauling even cheaper Canadian heavy crude to the company's refineries in California. However, he said resistance to such a move was likely. A 2006 California law requiring sharp cuts in emissions has a component that would require refineries to run crudes produced in environmentally friendly ways. Canadian crude production comes with high emissions. Plus, California has the huge Monterey shale, estimated by the U.S. government to have more reserves than the prolific Eagle Ford in Texas or Bakken in North Dakota. But output has been spotty with geology that differs from those other plays. Given those uncertainties, Garland told Reuters in an interview that for the time being, Phillips 66 will focus on improving the California refineries' single-digit returns while studying a possible sale, joint venture or spinoff. "The option value to hold California is zero. It really costs us nothing." Greg Garland told analysts at the 4th quarter earnings conference on January 30, 2013 that Phillips utilization rate was negatively impacted by the turnaround at the Los Angeles Refinery as well as turnarounds at Wood River and Borger refineries, and Hurricane Sandy related unplanned downtime at the Bayway refinery. 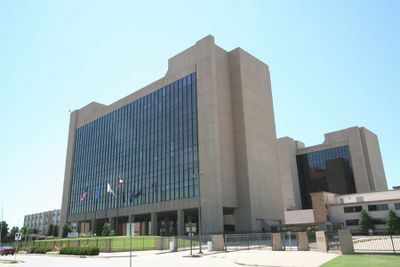 "In refining and marketing, our refining realized margin was $13.67 per barrel with a global crude utilization rate of 91% and a clean product yield of 83%," said Garland. "Lower volumes negatively impacted earnings by $42 million, mainly in the Atlantic basin and the Central Corridor regions, reflecting unplanned downtime due to Hurricane Sandy and plant turnarounds." Bloomberg reported on November 16, 2012 that planned flaring will take place at its Wilmington Refinery from November 22 to December 4, 2012. “Planned maintenance is under way” at the refinery, Dennis Nuss, a spokesman at Phillips 66’s headquarters in Houston, said by e-mail. Nasdaq reported on November 13, 2012 that planned flaring will take place at its Carson Refinery between November 10 and 23, 2012. The flaring isn't associated with equipment breakdown, the filing to government regulators said. Tim Taylor was asked at the Phillips Third Quarter Earnings Conference on October 31, 2012 if Phillips' position with its two major refineries in California was sufficiently advantaged to warrant continued participation and replied that when Phillips looks at the West Coast, it's been one of the more challenged markets from a recovery standpoint post-recession. "In California, specifically, it's a tough regulatory environment, as well, so costs are higher. And there is a lot of potential additional costs as new regulations come into effect. That said, it's still a very significant market and we think it's really important to look at how can we get some of these crudes out of the middle part of the country into the West Coast, particularly California. So we're working hard on that to try and change that. The comment I'd make in Washington is that that's got a natural access to the Bakken in North Dakota and Canadian crudes. We separate the Washington piece from the California piece that way. But everyone's working hard to look at some crude solutions for the West Coast to improve its competitive position." "I think we look at the market and say demand continues to struggle out there, as well, post-recession," added Taylor. "And then I think you look more fundamentally at the operating environment and the costs associated with particularly the environmental regulations. And we think that's going to continue to keep pressure on operations and operating costs out there. So, yes, I would say that from a California perspective it is one of the more challenged parts of our portfolio in terms of the basic value equation. So that's why we're still looking at the crude side of it. And continuing to stay abreast and on top of what it's going to take to comply with things like AB32 to really maintain your operations out there." Asked if California would still remain part of Phillips' core portfolio Taylor replied that right now California is in the lower performing part of Phillips portfolio. "So I think that if our assessment would become that it's going to be challenged for some period of time, we've either got to find a way to improve that operation or find some other way to deal with that." Fox Business reported on October 24, 2012 that a few units at Phillips' Wilmington Refinery were restarted on October 23, 2012 after experiencing an external power dip from the Los Angeles Department of Water and Power. The Refinery also reported an unplanned flaring event to the South Coast Air Quality Management District. The Tulsa World reported on October 6, 2012 that according to two people with knowledge of Phillips Los Angles Refinery maintenance schedule, Phillips 66 has delayed work at its Los Angeles refinery to cash in on record profit margins in California. A six-week maintenance turnaround on the hydrocracker, which makes high-octane gasoline and other lighter oil products, has been put off until at least Oct. 16 from a previous Oct. 9 start date, said the people, who asked not to be identified because the information wasn't public. 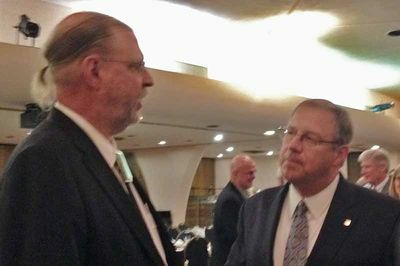 "With crack spreads this high, it's kind of expected that all will make as much fuel as possible to cash in on the spreads," Tim Hamilton, executive director of the Automotive United Trades Organization. A Phillips 66 spokesman at the company's headquarters in Houston, declined to comment on maintenance plans at the 139,000-barrel-a-day Los Angeles plant. "I can tell you there is no planned maintenance work currently at our Los Angeles refinery," said Rick Johnson. The Contra Costa Times reported on September 24, 2012 that air quality regulators are investigating whether a burnoff of petroleum products at the Phillips 66 oil refinery in Wilmington that lasted for about six hours after a power outage caused a sudden shutdown of all refinery operations could have been avoided. Black smoke billowing out of the refinery's flare could be seen for miles. The South Coast Air Quality Management District received 125 complaints about the smoke that day. Two days later, more complaints streamed in over a chemical odor surrounding the refinery. AQMD spokesman Sam Atwood said investigators believe the smell came from vapors that had leaked from a petroleum storage tank. 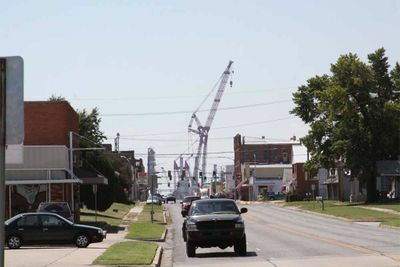 The refinery was issued a violation last week due to the odors, and will have to either pay a fine or invest in something that benefits the local environment, Atwood said. Nasdaq reported on September 21, 2012 that record heat and a power outage on September 15, 2012 forced a facility-wide shutdown at Phillips 66's Los Angeles refinery but that several units have been brought back online and all units are seen back by the end of the week. Nasdaq reported on September 26, 2012 that production resumed on September 21, 2012 after record heat and a power outage on September 15 forced a facility-wide shutdown. Nasdaq reported on July 27, 2012 that maintenace work was completed on July 19, 2012 and that planned flaring took place at the Wilmington Refinery from July 22 to July 25, 2012 according to the South Coast Air Quality Management District. 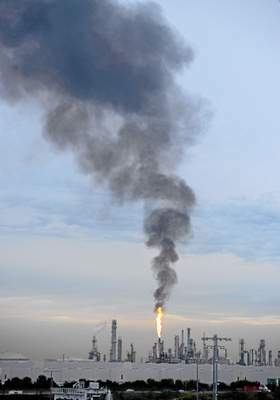 Reuters reported a planned flaring at the Wilmington Refinery on July 12, 2012. Reuters reported on July 8, 2012 that the Wilmington Refinery was in a planned overhaul which shut the hydrogen plant, according to a notice the refinery filed with California pollution regulators. The work triggered flaring at the refinery and the release of sulfur dioxide, according to the notice filed with the California Emergency Management Agency. Reuters reported a flaring at the Wilmington Refinery on July 3, 2012. Reuters reported an upset in the AlkyUnit at the Wilmington Refinery on June 29, 2012. Phillips 66 reported flaring due to an alkylation unit upset at its Wilmington refinery, according to a filing with the California Emergency Management Agency. Operators had secured the release and flaring had stopped at the time of the filing. Nasdaq reported on June 26, 2012 that a sulfur recovery plant at Phillips 66's Wilmington refinery shut down unexpectedly on June 26, causing a flaring event, according to a California Emergency Management Agency hazardous materials spill report. Reuters reported on May 8, 2012 that Phillips 66 finished unspecified planned work at its Los Angeles-area refinery that had begun in April, 2012. The refinery has two linked facilities in the Los Angeles-area: one in Carson that processes crude oil and another five miles away in Wilmington that upgrades the products. Bloomberg Businessweek reported on May 3, 2012 that the Los Angeles refinery was scheduled to flare gases through May 3 as part of planned maintenance. ↑ High Country News. "A new generation of activists, born next to an oil refinery" by Jesse Hardman. March 7, 2018. ↑ Nasdaq. "Phillips 66 Says Planned Maintenance Underway at Five Refineries" June 8, 2015. ↑ Seeking Alpha. "Phillips 66's (PSX) CEO Greg Garland on Q1 2015 Results - Earnings Call Transcript" April 30, 2015. ↑ Daily Breeze. "Heavy black smoke spews from flare at Phillips 66 refinery in Wilmington" by Sandy Mazza. January 29, 2015. ↑ Random Length News. "Hahn Sends Letter to State Fire Marshal about Phillips 66 Violations" by Zamná Ávila. July 8, 2014. ↑ Bloomberg. "Los Angeles Gasoline Strengthens as Carson Refinery Flares Gases" by Eliot Caroom. August 12, 2013. ↑ Fox Business. "Phillips 66 Plans Gas Flaring at Wilmington, Calif., Refinery-Filing" by Ben Lefebre. May 10, 2013. ↑ Fox Business. "Refinery Status: Leak, Fire at LyondellBasell -2-" April 4, 2013. ↑ Bloomberg. "Los Angeles Gasoline Advances as Phillips 66, Exxon Repair Units" March 18, 2013. ↑ Reuters. 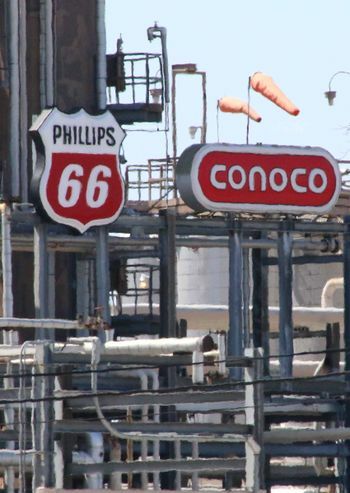 "UPDATE 1-Phillips 66 moving some Canadian crude to Calif. refineries" by Kristen Hays. February 5, 2013. ↑ Reuters. "Phillips 66 mulling options for California refineries" by Kristen Hays. ↑ Bloomberg. "Los Angeles Gasoline Rises as Phillips 66 Refinery Plans Flaring" November 26, 2012. ↑ Nasdaq. "Refinery Status: Unit Upset At Phillips 66/Cenovus Refinery In Wood River, Illinois" November 13, 2012. ↑ Fox News. "Phillips 66 Restarting Units at California Refinery-Spokesman" October 24, 2012. ↑ Tulsa World. 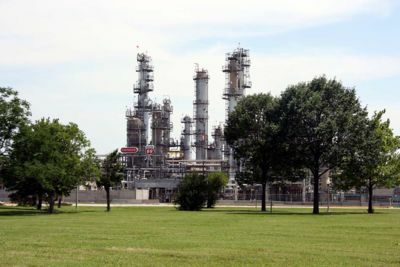 "Phillips 66 delaying work on refinery; sources allege cash-in on gas-price surge" by Lynn Doan. October 6, 2012. ↑ Contra Costa Times. "Air pollution regulators probe Phillips 66 refinery in Wilmington" by Sandy Mazza. September 24, 2012. ↑ Nasdaq. 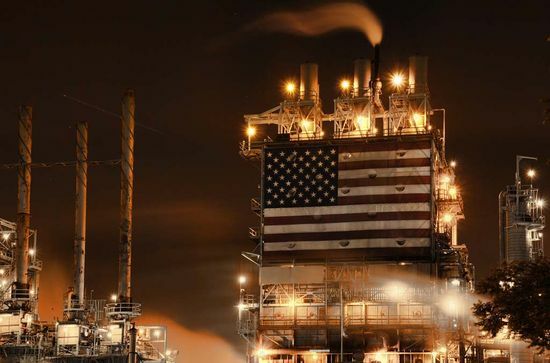 "Refinery Status: Some Units Restarted At Phillips 66 Los Angeles Refinery" September 21, 2012. ↑ Nasdaq. "Refinery Status: Valve Leak Causes Flaring At Phillips 66 Rodeo, Calif., Refinery" July 27, 2012. ↑ Reuters. "Phillips LA refinery performing planned work-filing" July 8, 2012. ↑ Nasdaq. "Sulfur Recovery Plant Down at Phillips 66 Wilmington, Calif., Refinery" June 26, 2012. ↑ Reuters. "Planned work done at Los Angeles-area refinery -Phillips 66" May 8, 2012. ↑ Bloomberg Businessweek. "San Francisco Gasoline Rises to Six-Month High on Work" by Lynn Doan. May 3, 2012.